Ah, St. Patrick’s Day. The time of year for lists revolving around Guinness, that most ubiquitous of Irish-American beverages, surpassed only by green-dyed Bud Light. Honestly, though, it’s tough to make it through St. Patrick’s Day in the U.S. without being bombarded by Guinness Stout marketing copy. The beer is an undeniable classic and worldwide icon, but is it the most flavorful stout on the shelf? American craft brewers have created fabulous stouts on a wide scale, and many of them are more engaging beers than the more common Guinness. Each one of these brews is available in multiple states (some nationwide) and shouldn’t be too hard to seek out. There are no imperials, no coffee stouts, no chocolate stouts, no barrel-aged offerings and no masquerading porters on this list—just American stouts, plain and simple. Yes, you should stock up for St. Patrick’s Day, but don’t limit yourself to drinking these stouts only while wearing shamrocks and top hats. These stouts transcend St. Patrick’s Day. This is what a dry stout is meant to taste like. An excellent standard bearer for the style, it’s awash in great roasted flavors. It’s predominantly dry as the style would suggest, but there’s substance and style there, with loads of coffee and dark chocolate flavors. This is a style of beer meant to be enjoyed in quantity, knocking back pint upon pint in some neighborhood watering hole in the company of good friends. At 6.4% ABV, this is starting to push the range of “regular” stout, but in reality it actually tastes even bigger than the ABV would suggest. Rich and filled with caramel and roast flavors, it also evokes espresso and a ghost of dark fruitiness and alcohol. Fairly high bitterness and roast character make this one slightly less sessionable, but it makes for a great one-and-done. Absurdly affordable for the quality, I recently saw it for $7.99 per six-pack at a package store 2,000 miles away from the city in Oregon where it was brewed. Consider the logistics involved in that trip and tell me we’re not living in the golden age of craft beer. This is an incredibly smooth, luxurious stout. A healthy amount of flaked oats give it a creamy texture that enhances its sweetness and cocoa characteristics, to the point where it evokes fudge from your favorite neighborhood candy shop. A clear example of a beer that can fight well above its weight class, its rich flavors and full body make it seem quite a bit bigger than its 5.5% ABV. “American-style stout,” like most American versions of beers coming out of the traditional British or Irish ale traditions, is typically a term that means “bigger and hoppier.” That is after all what American craft brewers are famous for doing, and this stout fits that descriptor pretty well. Sure, it’s got plenty of great roast character, but there’s also a nice hit of bitterness and herbal, citrusy hops that follow it up. That depth helps make this great “food beer,” able to complement any array of flavors. The “foreign export stout” is a style that doesn’t see a ton of play in the modern craft brewing community, but when done right it can be pretty stunning. The idea is essentially to take the dry stout formula and then amp it up, stopping just short of imperial stout territory. Those extra points of ABV unlock a variety of deeper flavors that don’t usually come out in a regular dry stout, particularly dried fruit notes of raisin or dates, along with a strong burnt sugar character. This is a sipper and not a quaffer. 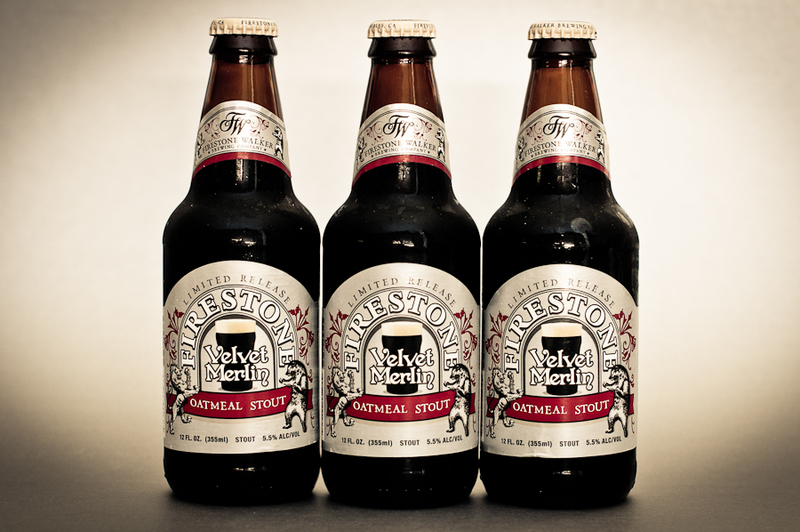 At worst, oatmeal stouts are sometimes bland and overly sweet, but at their best they can be among the most complex beers in their typical alcohol range. Anderson Valley’s great Barney Flats is one of the latter, combining rich chocolate flavors with dried fruitiness you won’t find in many of its peers. It’s got just a little bit of everything, making it tough to categorize, but regular drinkers know that this underrated brew is among the best oatmeal stouts on the market. It really is easy to forget how many other solid beers are in Sierra Nevada’s regular lineup after the classic pale ale. Many are underappreciated, but when you’re given a choice between the porter and the stout, go for the stout. It’s a style-defining American stout, assertive and roasty, kissed by cocoa, and the lightly hoppy flavors on the back end let you know you’re in the U.S. There’s very few six-packs in the $7 or $8 range you can buy in this country that are a better overall value. I must be honest—I’ve never been a huge fan of Rogue beer. But damn, if Shakespeare Stout isn’t still a quality product. Sold primarily in 22 ounce bombers that one can find in most beer stores around the country, it’s routinely hailed as one of their best releases, and for good reason. It manages to combine the creamy, roasty character of a good oatmeal stout with the herbal and citrus finish of a great American-style stout while never feeling too out of place or contrived. It remains Rogue’s most regularly accessible masterpiece. It’s labeled as a dry stout, but this one is richer than expected. Lots of caramel flavors along with that classic, slightly acrid roasted barley character of Irish stouts. It’s another brew that packs a heck of a lot of flavor into 5% ABV. It even has some spicy/earthy hop presence, which is unusual for a dry stout. Available in 22 ounce bottles around the country, it can usually be had significantly cheaper than most bombers, often for as little as $5. Take advantage while you can. Another award-winning oatmeal stout, The Poet is recognized as a classic and one of the beers that put New Holland Brewing Company on the map. Expansive and deep in its malt presence, this is beer to ruminate over in some Victorian-era study with a roaring fireplace and bearskin rug. It’s smoky, chocolaty, bready and coffee…y, and fairly sweet, but not enough to stop you from reaching for another when it’s gone. And it must be mentioned—what lovely label art. Do Edgar Allen Poe proud and knock one back this St. Patrick’s Day.